‘Une danseuse à l’Opéra’ – it was a phrase which, under the brilliance of the French Second Empire, had a particular flavor. Oh, it had had that same flavor for a century and more, before the days of Napoléon, and it continued on in its ways until the high-days fashions in France faded away into a mass of bourgeois morals … but the Second Empire … ah! The Second Empire … with its very particular code of living … man and mistress! 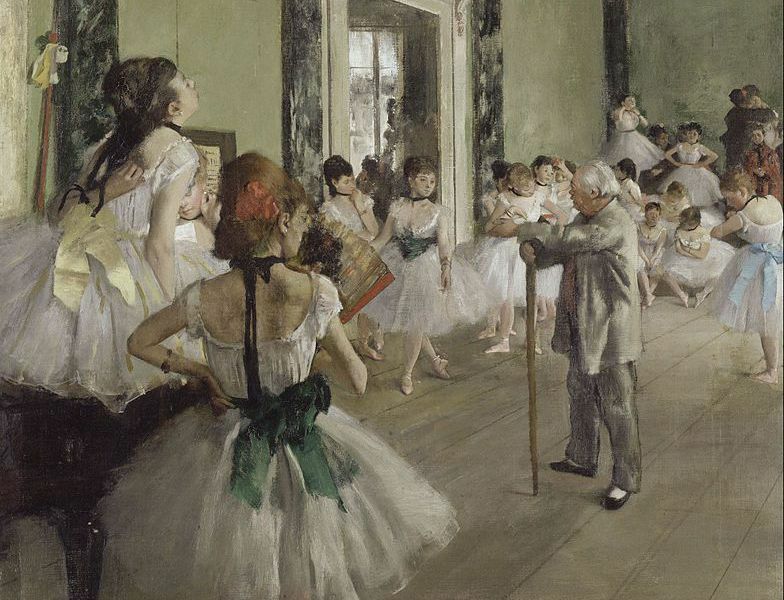 The Dance Class (La Classe de Danse), 1873–1876, oil on canvas, by Edgar Degas. A danseuse à l’Opéra was a prize. A status symbol. Because these were the days when any gentleman, royal, rich or striving to be either or both, kept a ‘mistress’. And by ‘kept’, I mean kept in the ostentatious height of fashion. Diamonds, carriages, and apartment in town, a house in the country. And, although a selection of actresses and singers – from Blanche d’Antigny and Marie Cico, from Esther Duparc to Hortense Schneider and the others whose details and addresses could be found in the ‘limited edition’ of volumes such Les Jolies Femmes de Paris, were among the showier and best-known of these dames entretenues, the ladies of the Opéra ballet were the basic catch a man of position or ambition generally strove for. And he wore his mistress, once she had been won, on his arm like a stripe of rank. 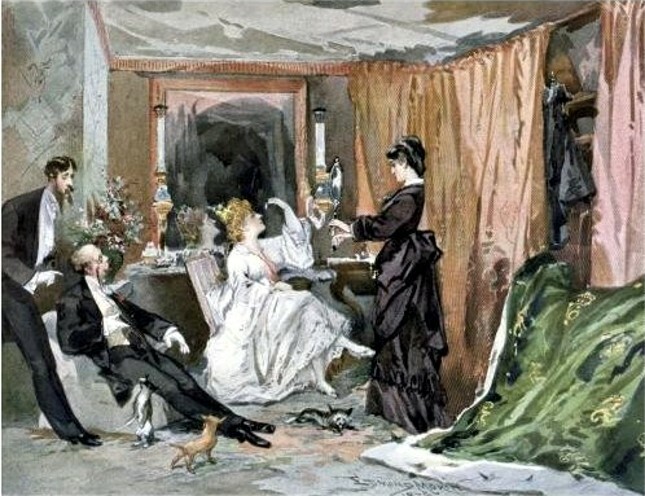 “The Dressing Room of Hortense Schneider,” 1873. Painting by Edmond Morin. Singers? Bof! 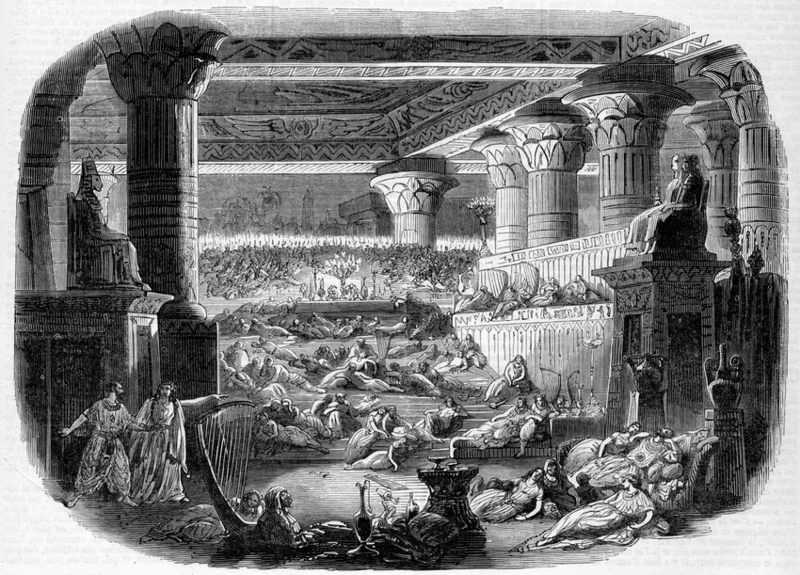 As one commentator of the time said, the singers go home to their own beds, the dancers go out to supper (etc). I shan’t write an essay on the merry highlife of the French 1850s and 1860s. That has been done hundreds of times before. Factually, and of course fictionally. You meet Pouponne or Loulou ‘danseuse à l’Opéra’ in the mythical ‘news’ or stories of the time, the mistress of so-and-so: the only trouble is Pouponne and Loulou never turn up in the factual cast lists of the era. Well, there wouldn’t be room for them. For there were only seventy odd members of the ballet at the Opéra at one given time, and I’m going to list a lot of them. At the top of the heap were the danseuses étoiles, the Carlotta Grisi, Taglioni, Cerrito, Rosati, Ferraris, Couqui, and so forth. Opéra coryphees Nane Danfeld, Irene Jousse and Mlle Gambelan. They stayed, usually, for a year or two and moved on to further triumphs in Vienna, Milan or Russia. The real Paris Opéra troupe came at the next level: the grands sujets, the petits sujets, the sixteen coryphées, and the four quadrilles of eight which, all together, made up the corps de ballet. Some of these lasses danced at the Opéra for a decade, some as much as two decades, some even much more. Some – such as Dephine Marquet or Fanny Génat – moved on, after a while, to play in the dramatic or comic theatre, one even ventured to the Bouffes-Parisiens to sing for Offenbach, but, although little corps de ballet girls came and went, the backbone of the troupe, the sujets and even the coryphées, was solid. And, largely, solidly ‘entretenue’. 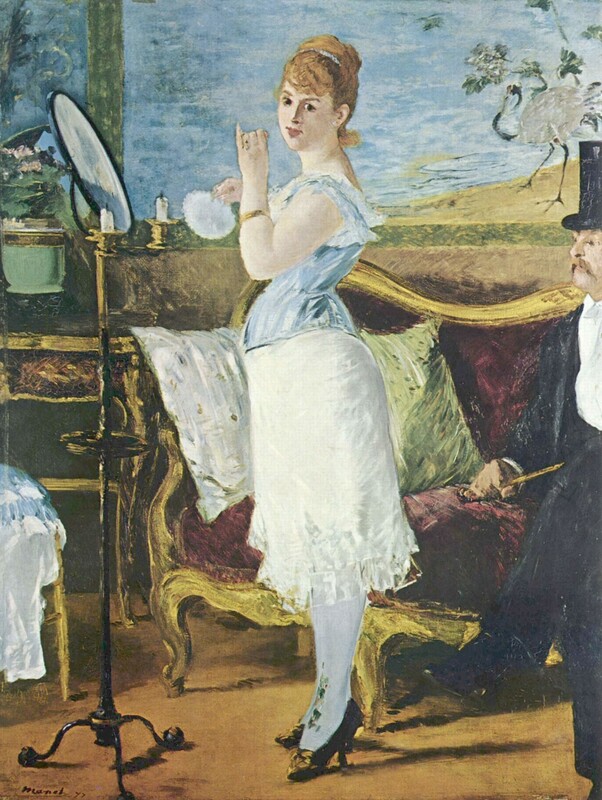 In his novel “Nana”, Emile Zola describes a “Belle Hélène” performance that is only slightly veiled as “The Blonde Venus”. Zola makes it very clear why the original diva attracted such attention, and caused such a sensation. The word ‘courtisane’ doesn’t strictly and everywhere apply. 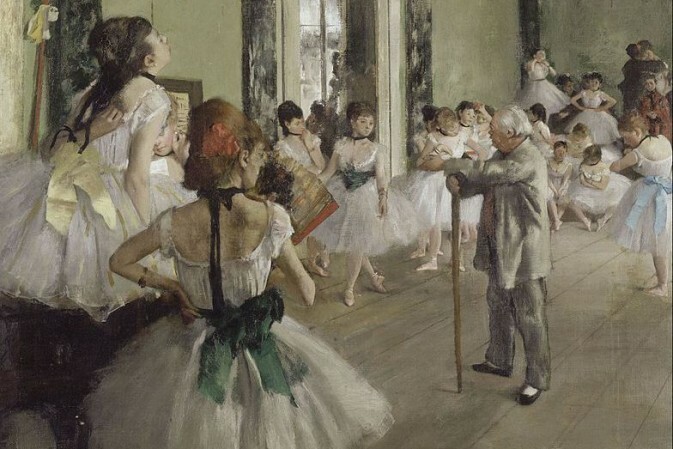 Certainly, there were those ladies of the ballet who shared their favors widely, some very acknowledged virtual prostitutes, but the aim of a ballet girl, high or low, was to hook a nice wealthy young baron (they were safer than financiers) … and keep him. And many did. But there were some others – famously, Anna Rust, who was so ‘sage’ even the stagehands were polite in her presence – who were staunchly not of the demi-monde. Maybe that’s why I can’t find her picture. Some of the Opéra danseuses did marry, much to the disgust of supremo Nestor Roqueplan who hissed ‘une danseuse mariée sent mauvaise’. It was reducing the stock of ‘available’ ladies who drew the men of the town to his theatre. 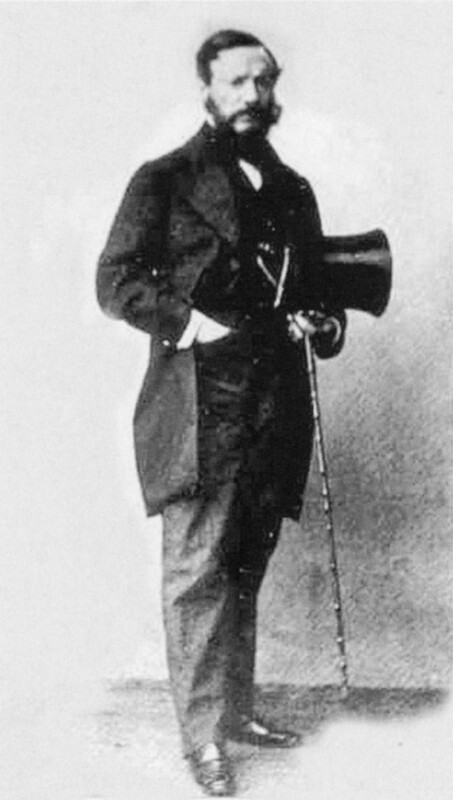 Photo from a carte de visite of Nestor Roqueplan (1805–1870). If he weren’t, Clara wasn’t interested. There is a heap of books of memoirs written by gentlemen who inhabited this glittering world. Titles such as Ces Demoiselles de l’Opéra, Les Théâtres en robe de chamber, Le Livre des Courtisanes, Le demi-monde sur le second empire or even the Tétoniana of one Gustave Witkowski, which seems to be wholly on the subject of the girls’ breasts. They are mostly uninformative as far as facts are concerned, full of brief physical descriptions (mainly hair and figure!) and dubious anecdotes and curiously misspelled names, but they do give a ‘feel’ of the period, where being a ‘dirty old man’ was regarded as far from ‘dirty’ – as long as the diamonds were clean. 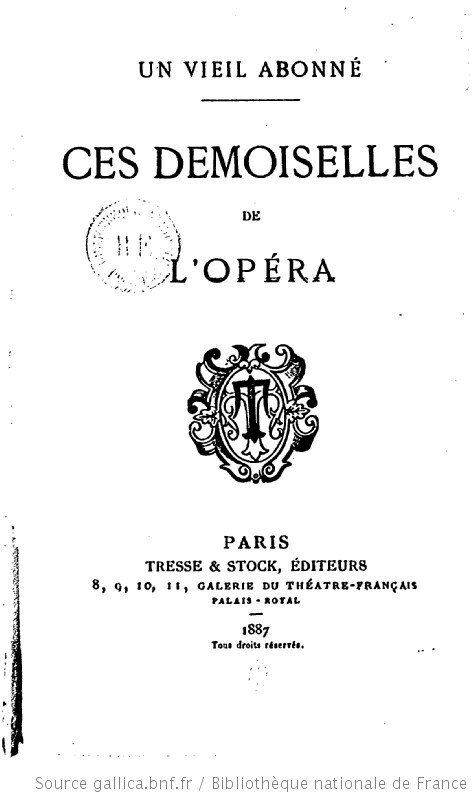 “Ces Demoiselles de l’Opéra,” published in 1887. But, what am I doing in this world. 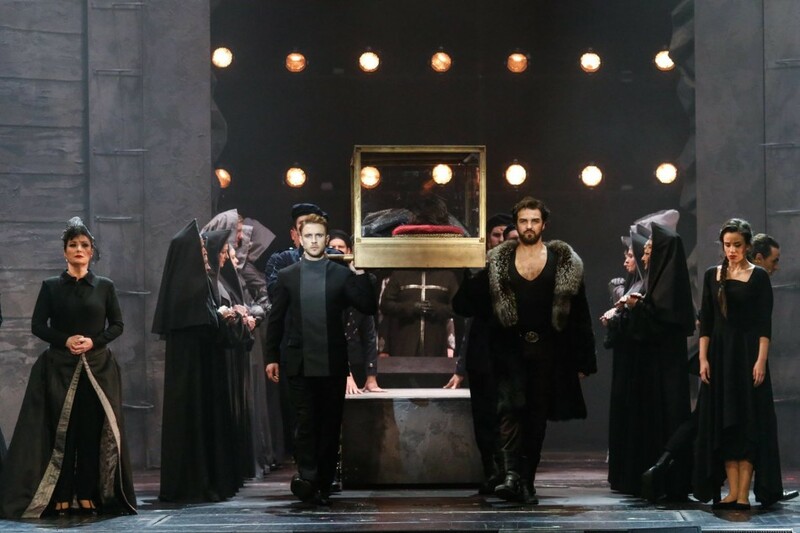 For decades, I’ve skipped through the doings at the Paris Opéra, studiously ignoring the dance and dancers, in favor of the singers … well, I just had an urge to put faces to some of these names. And facts. I’ve spent three days at it, and I will say that, thanks to such resources as the Musée Carnavalet and the collection of Paul Frecker, as well as several ballet-devoted sites, I’ve been quite successful at the first. The second has been much, much more difficult. The dancers were usually listed just under their surnames or stage names, frequently miss-spelt … but, putting aside the stars, here I go. Goodness, where do I start? Right. Cast list from the opera L’Enfant prodigue, produced at the Opéra 6 December 1850. Huge list of dancers. The Belgian Adeline Plunkett (1824-1910) is cast in the featured role of the Egyptian dancer, Lia, and does a pas de trois with Célestine Emarot and Elisabeth Robert in Act II. Daniel Auber’s “L’Enfant prodigue,” at the Théâtre de l’Opéra, 1850. And that cast doesn’t even show the full force of the company. I see in the Cahier for the previous year Mlles Carlotta Grisi, Fanny Cerrito, Adeline Plunkett, Sophie Fuoco, followed by Elisabeth Robert, Célestine Emarot, Mme Fuchs-Taglioni, Mme Théodore, Caroline Lasciat, Aline Dorsé and the Mesdames Barré-Lointier*, Delacquit, James*, Franck*, Rousseau, Paulus*, Gybal*, Marquet, Gougibus*, Astory … phew! By 1851, Mlles Priora, Lacoste, Caroline Pierron, Constance Quéniaux and Mathilde Marquet have risen in the ranks and the asterisked ladies are gone. Well, some of those on the list don’t go on, or far on, into the new Empire and the age of the photograph, but three of these were to become memorable ‘pillars’ of the company, so I think it is with those three that I will start my episode one. 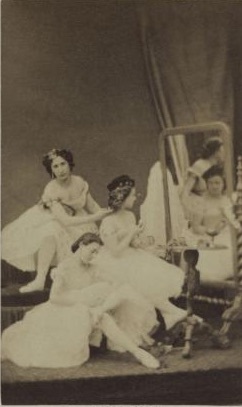 With ‘Mademoiselle Caroline’, ‘Mademoiselle Aline’ and Mademoiselle Louise dit Marquet. For the full original article and biographical articles on these three ladies, click here.